If you want to make a successful and highly profitable real estate investment, there are some key factors that you should consider before choosing an investment property. 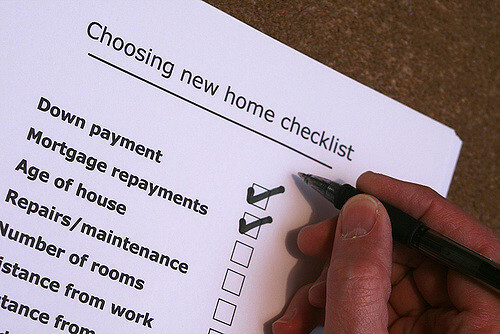 We have compiled this Property Investment Checklist to provide you with a short but essential summary of key factors you should pay attention to. 1. Have you chosen a reliable and professional property investment agency? If you are investing through a property investment company or property agents, you will have to make sure that you can fully trust them. Check the company's track record, ask to see client testimonials, and try to contact former clients. Ensuring that you are using the right property investment company will give you peace of mind and is essential for a successful property investment. 2. Do you understand the basics of property investment and current market conditions? While you should use professionals, solicitors, or real estate agents during the investment process, you cannot entirely rely on them. Make sure that you understand the basics of property investment and all financial details involved. This will enable you to spot any potential risks ahead of time and to find a profitable investment opportunity and a good location. 3. Do you have a clear picture of what type of investment property to buy? There are a variety of investment properties, such as buy to let properties, BMV properties, off-plan properties or overseas properties. The type of real estate will also determine your investment strategy, so make sure that you know what kind of property and investment strategy you are looking for to achieve your desired profits. 4. Is the property in good condition and is it in a good location? These should be crucial considerations, as you will either want to let the property, or sell it to another property investor or home-buyer. A property that is in good condition might be more expensive, but buying a relatively cheap property in a bad condition will always incur significant additional repair costs. Whether you want to find tenants, or resell the property, the location will be crucial, and a property in a bad neighbourhood or in an economically unstable location will rarely turn out to be a good investment. 5. Will you find tenants for your property? When investing in a buy to let rental property, the tenants will form the basis of your investment bringing you profit, so it is essential to make sure that you can find tenants for your property. This will depend on the location, property condition, the rent, and many other factors. Some property investment companies will even help place tenants in the investment property. 6. Do you understand how to maximise your returns? Achieving a positive cash flow will make your property investment successful. While it is obvious that every investor wants to maximise returns, you will have to understand how to make this happen. Finding a property possibly below market value but in a good location and good condition will be crucial for the success of your investment. You will also have to understand how to minimise the costs, including repairs, and taxes, and you should also make sure that the property remains let for most of the year. 7. Do you understand the risks? Property investment will never be without its risks, and you will thus need to understand all the risks involved. Economic growth might not be as expected, or you might not find tenants for a longer period. By understanding these risks, and developing an effective risk-mitigation strategy, you will find it easier to turn your property into a successful investment.